Previously on this Review, Fox has been exposed as the channel of propaganda. Last week on The Daily Show, Jon Stewart ran a montage showing the extent to which Fox is used by conservatives to demonize liberals and progressives. 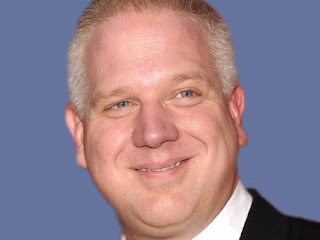 Glenn Beck was no exception. In fact he is a master of this sleazy tactic as demonstrated when he claimed that billionaire philanthropist and contributor to the Democratic Party, George Soros "evil" and when Beck disgracefully associated Lucifer with President Obama. Watch this excellent expose of the hypocrisy of Fox's Sean Hannity via The Daily Show's website. This segment begs the question: how should liberals/progressives fight back against this assault? Fighting on the their turf and using conservative tactics to argue that, no, they are the evil ones would be disingenuous, childish and fruitless. One of the motivations of this blog was J.S. Mill's dictum that the antidote to bad speech is more speech. To that end, several books have been highlighted here exposing Beck; but have they gotten much publicity on television? More to the point, how often do liberals demonize conservatives? Perhaps the antidote to demonization on the right is not more demonization but exposure of these tactics to a wider audience to show just how Beck Fox and the right wing echo chamber has become. It is not likely that reactionaries and other right-wing ideologues would respond with an open mind about this propaganda coming through Fox because it reinforces their beliefs about the liberal left. The middle, the soccer moms, the independents and other voters, who are open minded, could look at this assault on the left and come to grasp just how Fox functions. If having Glenn Beck on the channel for 30 months doesn't convey the extent to which Fox owner Rupert Murdoch is corrupting the news media, perhaps what Mr. Stewart is exposing above may get through to some people. Friends don't let friends watch Fox "News" without at least trying to warn them that Fox is the corruption of the news and a deviation from the truth to propaganda. Fight back: for America, for the truth, please share this post with people you know.